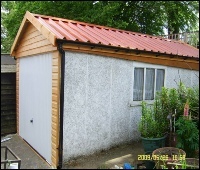 Your Garage roof is essential, It keeps the weather out, provides security and makes your garage look like a safe structure. 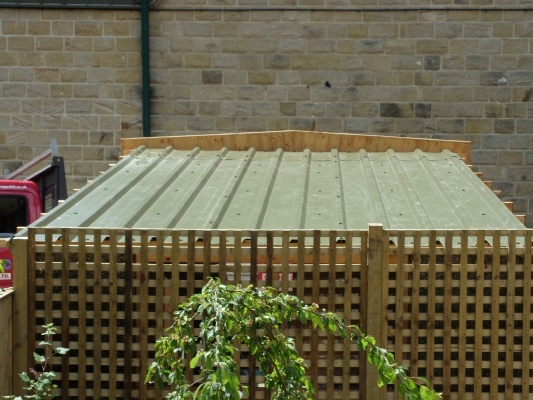 We have over 60 years experience with Garage roofs in Halifax. Garage roof repairs throughout Halifax and surrounding areas. 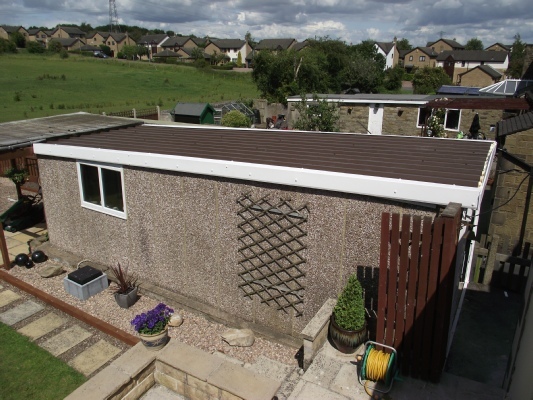 Garage roof replacements in all areas of Halifax. 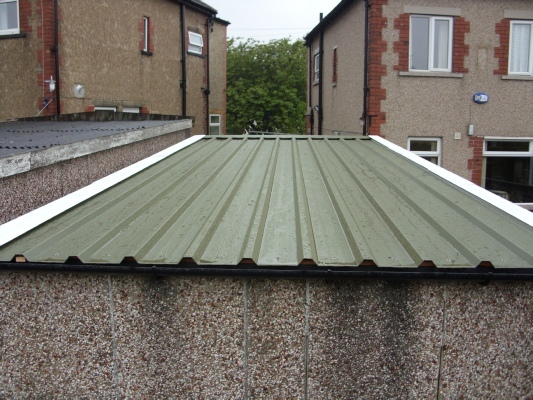 Garage roof refurbishments for almost any type of garage roof. There is no need to replace your entire garage if the roof is the only issure. Simply repair or replace it. We install coated steel roofing systems. 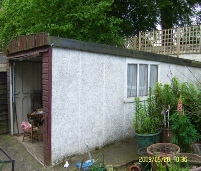 Numerous other options such and insulation dependant on garage roof. We are quite happy to discuss your garage roof project and design the best solution to your problem or garage use.  We are authorised suppliers and installers for Firestone Rubber Roof systems. Full piece rubber sheet (NO JOINTS). 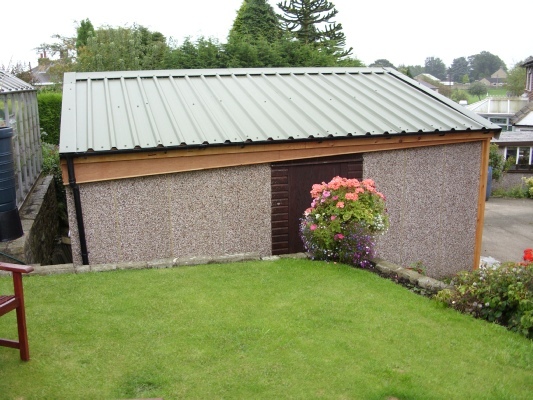 Suitable for flat roof buildings, extensions or garages. If you use your garage as an office, workshop or warehouse for a small business this is the best option.